Which selenium interview questions and answers you need to prepare before interview? 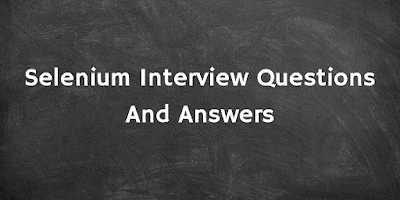 You must know selenium interview questions and answers which are generally asked by interviewer. I think all those who are Interested to attend WebDriver Interview with company or client must be aware about basic and advanced level selenium interview questions and answers. I have created frequently asked selenium webdriver interview questions and answers. It is not only for Interview purpose but it can improve your WebDriver knowledge too to perform automation testing on software web application. Visit WebDriver Tutorials Master page to find all links of webdriver/selenium 2 tutorials to test software. I recommend you selenium tutorial to start learning it from scratch. As you know, Use of webdriver/Selenium 2 software testing tool Is Increasing day by day and now many companies are using Selenium WebDriver for automating their software testing process. As per selenium WebDriver's usage Increase hike, I can say WebDriver Is going to be essential part of software testing Industry. Many companies hiring WebDriver professionals everyday so now It Is Important for all of us to know webdriver very closely. Bellow given selenium interview questions for experienced and beginner level students will help you in your interview preparation. Bellow given links will take you to selenium webdriver interview questions with answers pages. Bellow given java interview questions will help you when you are attending selenium interview. 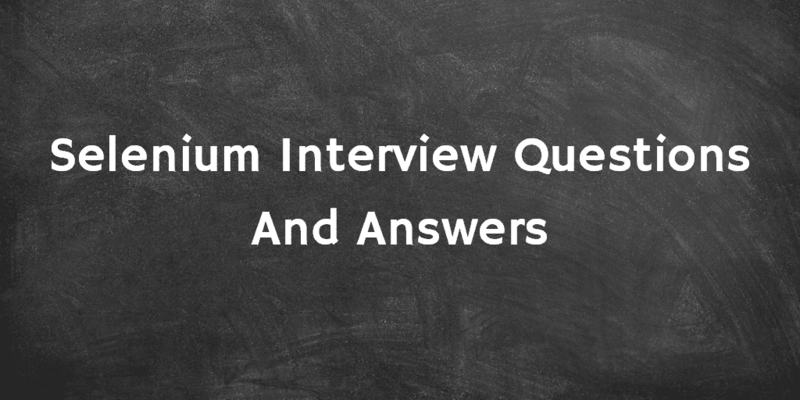 Bellow given java interview questions will help you when you are attending Appium interview. STAY TUNED :).. NEXT PART IS COMING SOON.. Thanks for your hard work. I have learned a lot from this site. Please keep uploading interview questions. thanks i am so happy because so easy way u explained. Appreciate the great effort! never seen such a detailed post! Thanks a lot. I got much from your post. I am a regular follower of you site. Thanks. Great Job. Thanks you so much. Really helpful. Well Knowledge blended post, Checked all the parts and everything looks informative. Thank you for your hard work, we're looking forward for more, keep going !! Thanks a lot for your hard work, we appreciate your efforts , keep going !